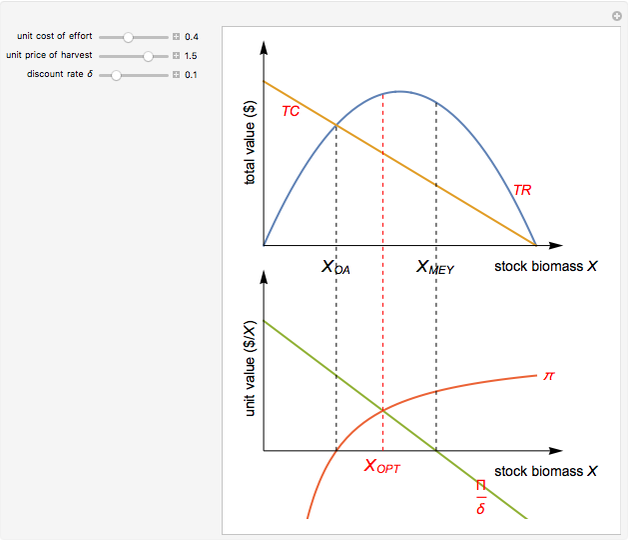 The classical Gordon–Schaefer model presents equilibrium revenue ( ) and cost ( , including opportunity costs of labor and capital, in a fishery where the fish population growth follows a logistic function. Unit price of harvest and unit cost of fishing effort are assumed to be constants. In this case, the open access solution without restrictions ( ) is found when and no rent (abnormal profit, ) is obtained. 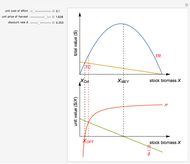 Abnormal profit (here resource rent) is maximized when (maximum economic yield, ). 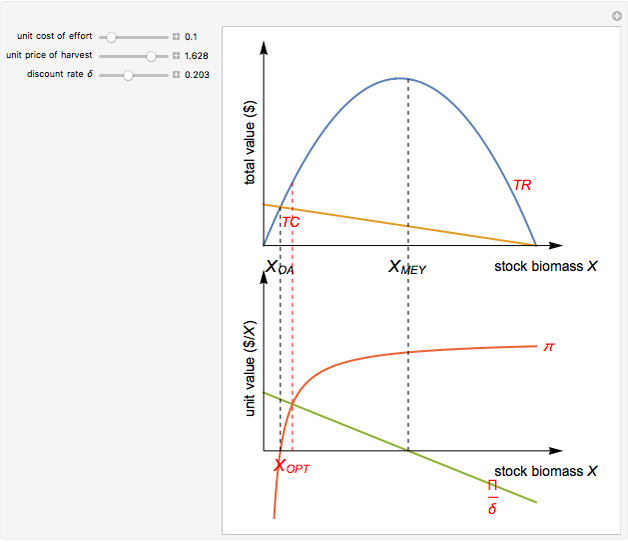 Discounted future flow of equilibrium rent is maximized when , where is the unit rent of harvest and is the discount rate. This situation is referred to as the optimal solution ( ), maximizing the present value of all future resource rent. The open access solution and equilibriums are found to be special cases of the optimal solution, when and , respectively. 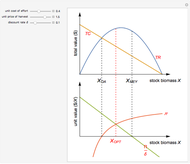 The equilibrium catch is found at the stock biomass value where , , or . 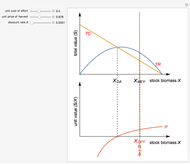 The optimal equilibrium solution (maximizing the present value of future harvests in equilibrium) is obtained when the short-term loss of not fishing one unit more ( ) equals the long-term discounted benefit related to this unit being included in the future stock ( ). See Clark (1976) for further details. C. W. Clark, Mathematical Bioeconomics: The Optimal Management of Renewable Resources, New York: Wiley–Interscience, 1976. 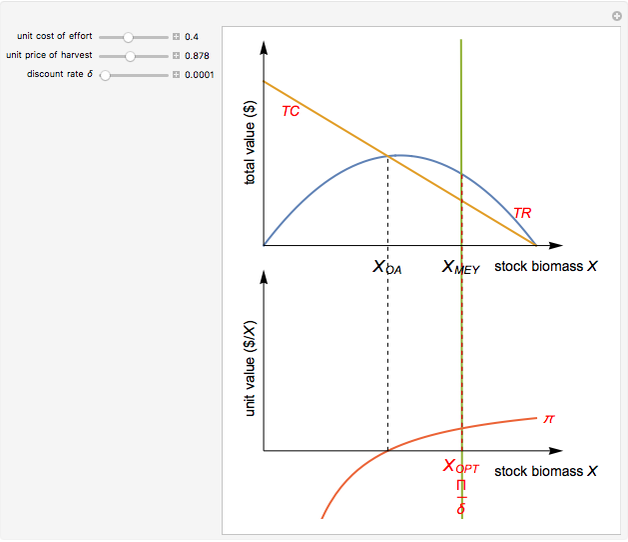 Arne Eide "Maximizing the Present Value of Resource Rent in a Gordon-Schaefer Model"
Fishing with Long Line or Gill Net?